You have the sky itself, which is a complete circle. We measure it to have “360º”. From there we divide it in different ways to get astrologically meaningful sections. 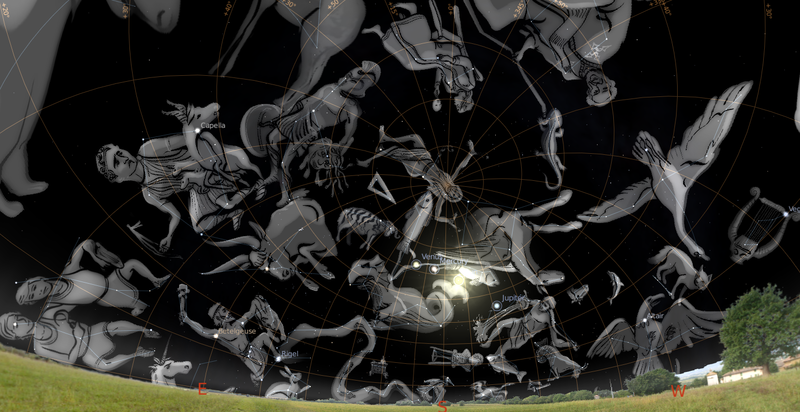 You are most familiar with how the sky is divided into 12 sections – the “12 signs of the zodiac”. This division is based on the movement of the Sun over the course of a complete Moon cycle (how far the Sun moves in the sky during the course of the Moon going from full to new and back again). There are other divisions that are almost equally important. The next is the 27 lunar mansions – a division of the circle of the sky into 27 parts, based on the movement of the Moon over the course of a complete Sun cycle (how far the Moon moves in the ky during the course of the Sun rising, setting and coming back again). Those two divisions, the Sun’s and the Moon’s are unified by a third division called the “Navamsha” which literally means “Ninth Part” (and which I abbreviate as “D9”) If you divide a single solar zodiac sign into 9 equal parts, you will link it to the lunar zodiac because those divisions will cause exactly four parts in each lunar sign. This is one reason why the navamsha is the most significant of all the subdivisions of the main solar and lunar zodiacs. A sort of confirmation of the importance of the navamsha is that it results in 108 divisions total in the sky. (9 in each sign, 12 signs… 9×12 = 108) and 108 is a pinnacle number in occult numerology. It also represents the 9 planets in the 12 signs (108). Previous Post Textbook Vedic Astrology – Scary Like Cholesterol?